Today I’m bringing back a No Sew Pillow Tutorial that will make you want to go to the fabric store! My mom used to make me the most beautiful dresses when I was a little girl. She still can create pretty much anything she wants with her sewing machine. I have to say that unfortunately I didn’t inherit her talent or love for sewing. 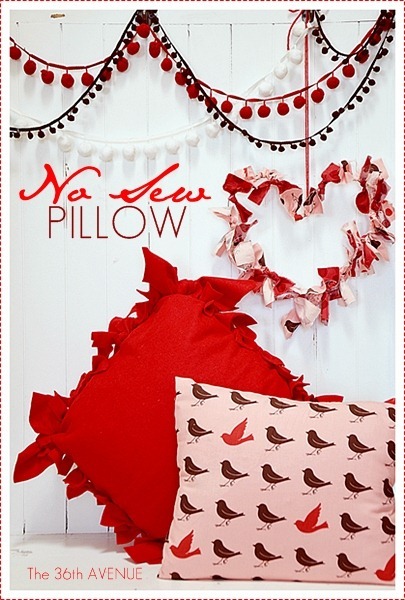 If you are like me, you are going to love making this cute no sew pillow without sewing a stitch! 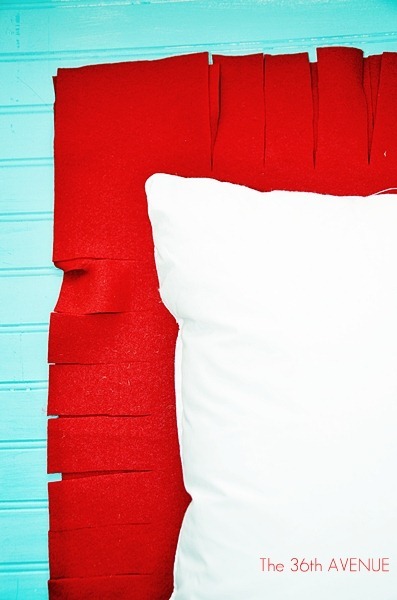 Let me show you how you can make this cute pillow in about 3 minutes! You are going to need two pieces of felt, five inches all around larger than your pillow. For example if your pillow is 18×18 you’ll need two pieces of 23×23 felt. 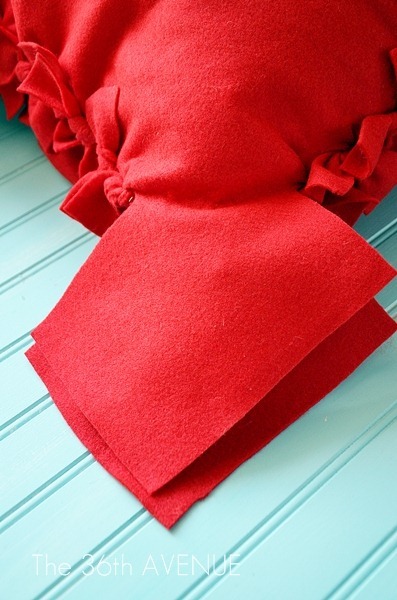 Set one piece of felt on top of the other and then place the pillow on top. You are going to cut strips of about 5 inches long and two inches wide all around. Don’t cut all the way to the corners. Stop before the last two cuts meet. You’ll end with a square of felt in each corner. When you have cut all around place one piece of felt on top of the pillow insert. 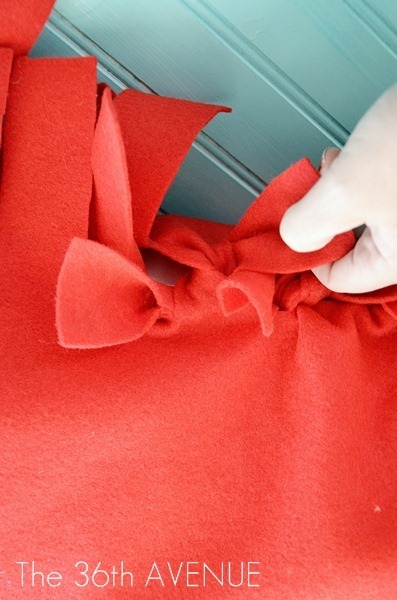 Start making knots, connecting the two pieces of felt together with the pillow insert inside. Double knot so the pillow cover stays in place. 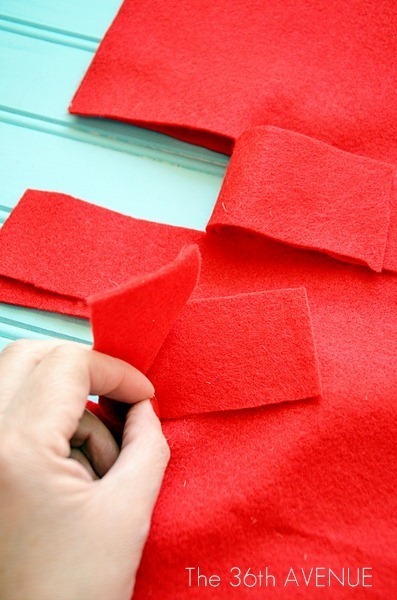 When you get to the corners do the same thing knotting the two squares of felt together. They will look like a big bow in each corner. And just like that you made yourself a No Sew Pillow! 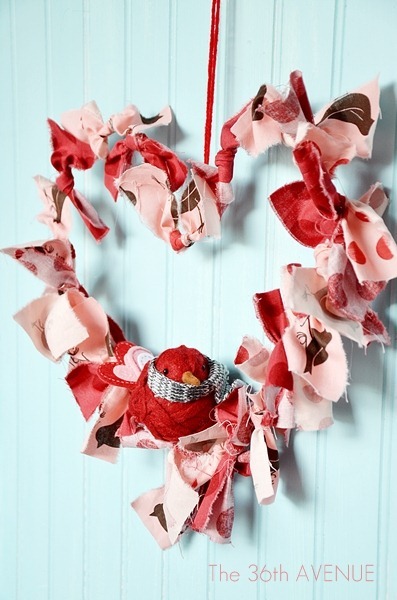 So easy and perfect for Valentine’s Day or any other holiday! Here are some other fabric ideas that I love! 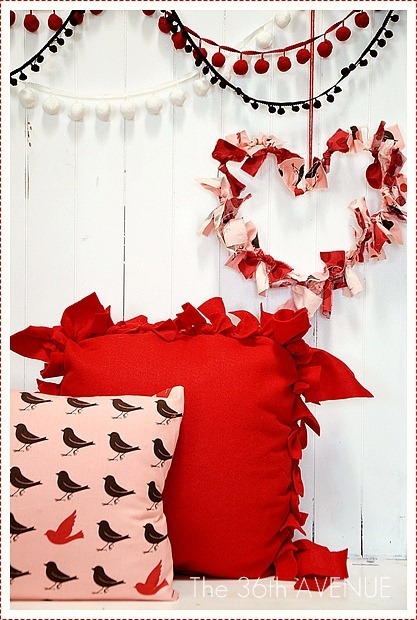 That is another projects that you can do quickly with a hanger and fabric scraps. OK I’m done… Now I better go. I have three baskets full of dirty laundry calling my name! See you later my friends! Oh! Don’t forget to subscribe below!